4k00:18Sport - Powered paragliding. Blue sky in the background. 4k00:14Sky diver, mean fly in parachute. 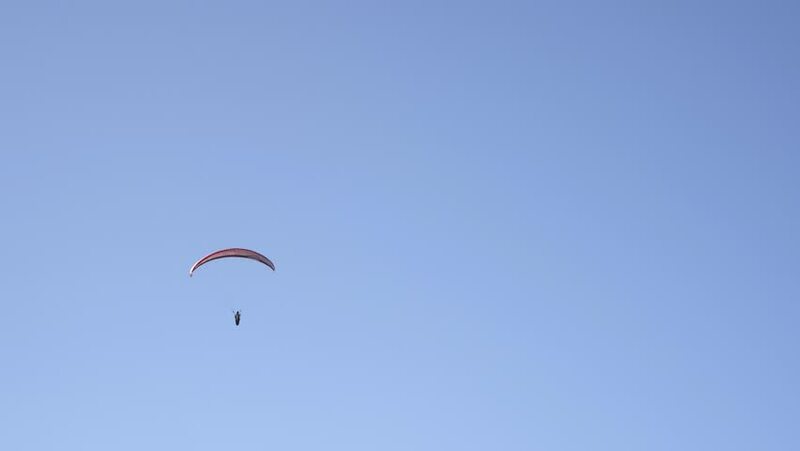 4k00:16Paraglider flies in the blue sky. Air sport and recreation. A powered paraglider - a glider with a dorsal power plant, providing the rise and moving in the air.